Since its European launch in 2016, Nissan's luxury brand Infiniti has used the QX30 to attract a new type of premium car buyer. Yet last week, we learned that Infiniti will abandon western Europe to focus on markets in which it is more successful. Production of the Q30 and QX30 is to cease by July 2019 at Nissan's factory in Sunderland, UK. The company did not cite Brexit. Continuing QUBE/just-auto's review of interior design and technology trends, we take a closer look inside one of the last few produced. At launch, the automaker said the QX30 bridges the gap between premium compact rivals and larger crossover models. It is certainly true that the low-slung roof-line, elevated stance and crossover appearance creates a striking visual impact, standing 30 mm higher than its hatchback sibling, the Q30 Premium, and 45 mm higher than Q30 Sport. The original QX30 concept, which made its international debut at the 2015 Geneva motor show, combines the sleek lines of a coupe with the lofty stance of an all-wheel-drive crossover. Its development started at the brand's technical centre in Japan, before moving to Europe for final validation and testing. All in all, 750 engineers were involved in the development and testing of the Q30 and the QX30 across a variety of roads and environments. The seat design makes use of Infiniti's 'spinal support' research. The wider-fitting seat backs have been engineered to match the curvature of the spine, providing consistent spinal support by more equally distributing load across the seat to minimise pressure on back muscles. Internal testing carried out by Infiniti engineers showed that the QX30 seat provides greater levels of support and comfort than rivals, reducing driver fatigue on longer journeys. The cockpit is swathed with soft-touch materials, thereby giving a sense of luxury. Sure, there are some parts of the interior lower down that feel a little scratchy but the areas that you are most likely to come into contact with feel lush. Infiniti's trademark InTouch infotainment system, first introduced on the Q50, has been upgraded for the QX30 for a finger touch and swipe control through a seven-inch touchscreen. The touchscreen may also be controlled via a rotary controller located on the centre console just behind the gear lever. Sat-nav, DAB and Bluetooth come as standard. 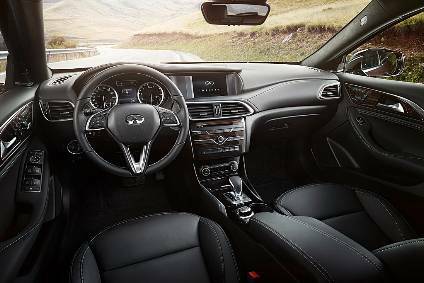 Infiniti Voice Recognition interacts with the InTouch infotainment system to control audio and navigation commands. Front seat passengers get loads of head and elbow space, yet adults sitting in the back aren't anything like as comfortable. While the 60/40 split rear seats can fold forward quite easily – liberating a decent-sized loading area - they cannot do clever tricks like recline or slide. That said, there is no shortage of stowage solutions. In addition, there is a generous sized glovebox and the front and rear door bins offer loads of space to stash stuff. As with most compact SUVs, rear visibility is a little restricted although the rear parking sensors and camera view counter-balance this. Forward visibility is somewhat hampered by some quite chunky A-pillars covered in black suede causing blind spots while edging out of junctions. In terms of advanced driver assistance technologies, the QX30 ticks a lot of boxes. Standard ADAS equipment on the QX30 Luxe spec includes an Around View Monitor with moving object detection and Intelligent Parking Assist making parking easier in tight spaces. A special metal plating method allows the radar waves of the Intelligent Cruise Control to pass through the Infiniti grille badge. Other ADAS tech includes adaptive brake assist, blind spot warning, forward collision warning and stop and lane departure warning. Out and about, the car's fuel economy lived up to expectations. While the headlined combined fuel economy is 52.3 mpg, our spin covering motorways, country roads and town traffic came pretty close to that average. 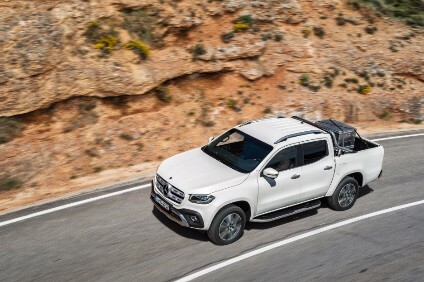 Fully loaded up with passengers and clutter, the diesel 2.2-litre engine delivered enough power when needed. It is mated to a seven-speed dual clutch automatic gearbox which was a little slow to change up and down in default Eco mode. The cabin is also relatively quiet thanks to the application of sound-absorbent materials that reduce the intrusion of wind, road and unwanted engine noise. 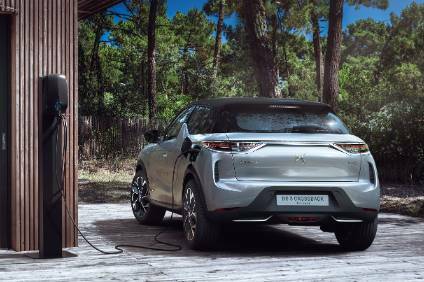 Tranquillity in the cabin is further aided by Active Noise Cancellation, which emits sound waves from the door speakers to negate any instances of booming noise emanating from the diesel powertrain. In addition, closed sections of the high-rigidity body structure protect the QX30 from any negative noise and vibration generated by broken or inconsistent road surfaces. On balance, the well thought-out cockpit has the wraparound feel of a coupé with soft-touch surfaces, stitched lines and brushed chrome accents to give a plusher feel. It also feels practical and robust with intuitive controls and decent-sized cubby holes and glovebox. During a week in which Britain was battered with gale force winds, we appreciated standard four-wheel drive that felt grippy and responsive.